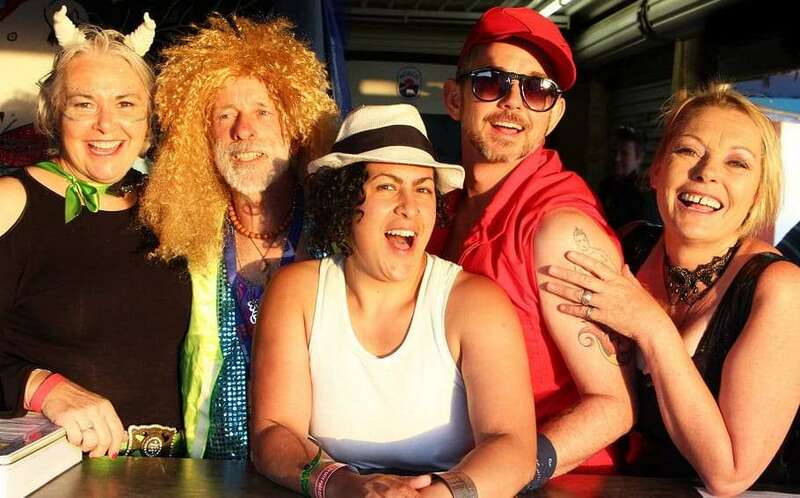 As Lismore group Tropical Fruits celebrates its 30th anniversary of championing the LGBTIQ community in New South Wales’ Northern Rivers region, John Taggart reflects on the true significance of the organisation. Northern New South Wales – the home of trendy Byron Bay – may seem an oasis of tolerance but the shift in cultural attitudes is relatively recent and far from unanimous. In neighbouring Queensland, the three electorates which voted against marriage equality were all regional. Metropolitan areas have always lured LGBTIQ youth with the promise of a safe haven among like-minded people. From Sydney’s Oxford Street, to the streets of London and New York, even the bright lights of Brisbane, the diversity of the city evokes an image of inclusion. For centuries, our transient youth have flocked to the city to find and create spaces with their queer peers. But what of those left behind? What of those who through circumstance or even choice, remain in the literal and figurative wilderness, afraid to express their identities among small-town mentalities and close-knit communities? Organisations like Tropical Fruits are crucial. They offer to provide acceptance and a sense of belonging from within and they raise visibility from without. For queer youth, the burgeoning realisation of one’s difference can be isolating; the gnawing sense that no-one in the world understands who you are or how you feel. Our rural youth often live in areas with small populations and traditional mores. Access to a supportive community is essential for mental health and positive self-perception. Communication and interaction, even via newsletters, can offer a sense of community. Queer elders in regional communities often ended up in the past as the local “bachelor”/”spinster” – the loner whose sexuality was never discussed or acknowledged. A group like Tropical Fruits offers a vastly superior alternative. It provides solidarity, company, celebration and pride. Diversity of experiences and events is important too. Our rich community comprises a range of eclectic individuals. From barbeque lunches to art exhibitions, from book groups (even as online forums where geography precludes meet-ups) to Pride Festivals and public holiday club nights, our rural and regional brothers and sisters need and deserve the opportunity to explore their tastes and identity as individuals, to find the like-minded among each other, and to develop lasting relationships. LGBTIQ groups also ensure visibility that can change the hearts and minds of a whole local community. Understanding queer people as people, not as a political football, not as a topic or issue, but rather, as family members and friends, with our own individual and collective identity, sends a powerful message to regional areas. While it is something of a generalisation to stereotype all regional and rural communities as closed-minded, only through standing as a tall, proud and visible community can opinions and attitudes be challenged and changed. For the queer individuals and families, and their collective queer communities living in rural and regional areas, support networks and groups are essential both for their wellbeing and sense of belonging, as well as for the wider community’s acceptance and growth. Long live Tropical Fruits and their 1980s bravery. Bring on more local community groups across Australia so that all of us can feel accepted and loved, no matter where we live. Tickets to Tropical Fruits’ 30th anniversary New Years Eve Festival are on sale now. For more details visit the Tropical Fruits website.